My fun little entry for the Jean Reno caricature challenge over at Caricaturama Showdown 3000. Ha ha! Gold. You know, I thinks that is one of your best. Very cool! Awww cute xD hahaha Good luck with the caricature challenge! Your competitors are definitely up for a challenge against you're work. "Bert? 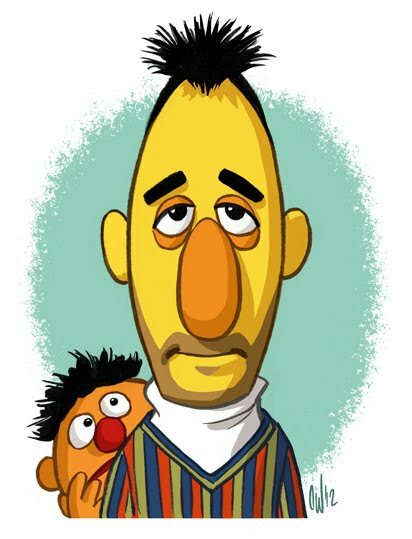 What happened to you, Bert?!" Poor Ernie looks so freaked. Great work! Even though I'm bad with names, one look at reconfigured Bert made me go,"OH! THAT guy! ".